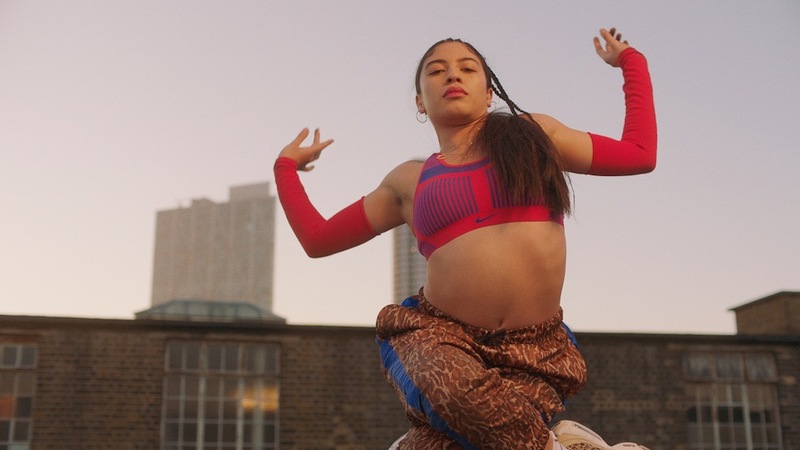 In advance of the Women’s World Cup this summer, PRETTYBIRD director Eloise King envisions a not-so-far off utopia in her film for Nike Women, where powerful, beautiful, and multi-talented women can stretch, sweat, and move their bodies together in harmony. With a cast who embody a variety of intersectional identities, Eloise celebrates the freedom of body movement, free of societal pressures and in the comfort of a supportive community. 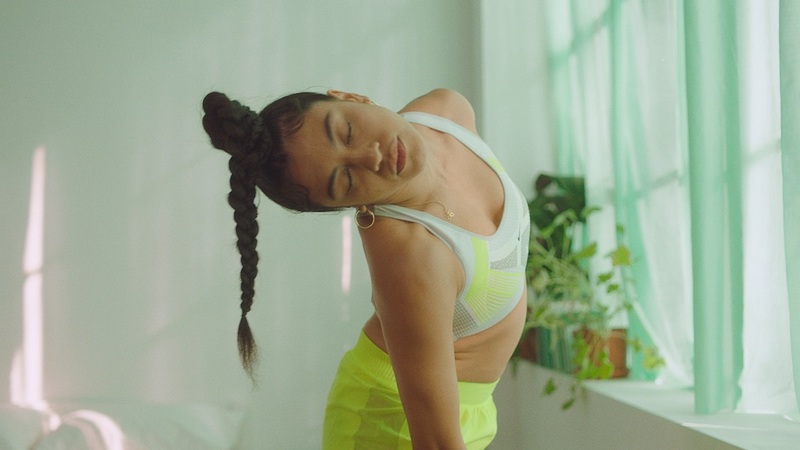 Bathed in natural light, Eloise creates a surreal aesthetic world for artist Belen Leroux, set to “We’ve Always Done It,” a commissioned poem written and performed by Abondance Matanda and accompanied by an original music composition by Asriel Hayes. Eloise’s film is like a dream that we don’t want to end. We spoke with Eloise about harnessing her cast’s potential to transcend limitations, tapping into the nuances of how every woman identifies with her body, and the industry-wide need to replace virtue signalling with better hiring statistics for women directors of color. 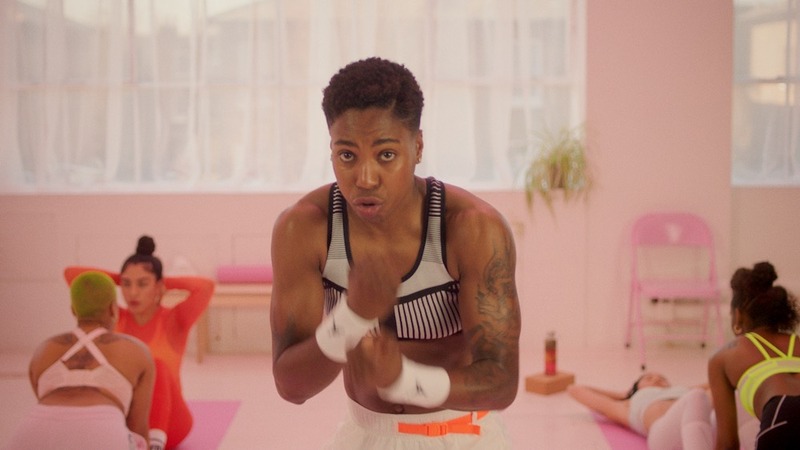 You had the opportunity to both cast and direct this film for Nike Women, accompanying a poem by Abondance Matanda. What initially drew you to this project? From periods to mental health, girl’s health is something that affects half the planet and is still largely seen as a taboo subject. I wanted this film to be set in the near-future, where cultural and societal barriers have been re-configured and women are free to reimagine themselves. Harnessing the ultimate potential to transcend limitations; be it the social inequality, or the stigma of ‘wild women’, instead embracing their strengths, to push the narrative beyond dreams fulfilled—into a new dimension of dreams yet to be. The cast you selected represents a beautifully, refreshingly diverse cross-section of identities and bodies. How did you arrive at your casting decisions? Did you reach out to your community of creative peers when casting for this project? I love casting my own projects. My years of heading up i-D & Vice gave me a hyper-awareness of existing and emerging creative talent – that’s my community. I reached out directly to women I thought were visionaries in their own way: Belen is a dancer/artist, Abondance is a poet, Tanya is a youth worker/LGBTQ+ activist, Cherrelle is a professional boxer and Jess is the founder of Boys in Polish. I wanted their outlooks to compliment each other and feel authentic. What were your priorities in terms of representation of your film’s subjects – what qualities were you specifically hoping to capture? There’s an inherent power in owning, “our birthright to love and listen to our bodies” – so many women are denied that. I wanted to capture a raw vibrancy and grit through a series of honest and intimate close-up portraits, woven together to show women in motion. Leaning into the nuance of how every female identifies with their body is unique, but can collectively represent something much more profound. I wanted to eulogize them accessing freedom from within themselves. In addition to the poem by Abondance, the score for this film was an original music composition by Asriel Hayes. How did you work with both Abondance and Asriel to incorporate their work into the completed film? Creating the poem was key before we shot. Abondance came over to my house, I talked through the journey and shared a visual and written storyboard of how I saw the emotion building in the three acts of the film. In the sound recording, she almost made us both cry – her cadence is so tender but compelling. When I contacted 17 year old LA violinist and composer Asriel Hayes through Instagram, he asked if we could speak later because he was still in school! Working with him was otherwise seamless: I explained the three acts, sent him the final cut and a classical version of a popular theme tune. I asked for a similar strings and emotion, but not cheesy. He responded with a near-perfect composition and then we got to it in two passes – he’s a unique talent. Tell us about the crew that you worked with on this shoot – what were some of the highlights of working with this team? The crew behind this project were totally intersectional; black, people of colour, white and queer and non-binary, men and women, which reflects both my practice ethos and collaborative approach – balance creates better. It was also my first time working with DOP Amelia Hazel-Rigg, but it felt like we were both working from the same mind’s-eye, it was very intuitive. Did the shoot pose any unique challenges for you as a director? Did it push your filmcraft into any new or exciting directions? This was my first time directing something narrative. Leading the creative direction, I had to create a whole world, rather than framing and navigating reality like I’m used to in documentary. I read “Women who Run with the Wolves,” and watched work by performance artist Sagg Napoli, and filmmaker Maya Deren‘s study of Voudou in Haiti for inspiration. I’m drawn to that cross-over between the real and surreal, so this was very symbiotic. What are your favorite aspects of the final film? Each woman and element feels like they speaking to each other. From Belen’s initial breath to movement, Asriel’s violin composition, to the cadence of Abondance’s poem, there is an interconnectivity that’s mystical and raw, which make for an evocative whole. What kinds of storytelling opportunities do you hope to tackle in future commercial (or personal) projects? I’m still new to commercials, so there’s a lot of room to grow the scale of ambition. I always want to make work that’s instinctive and collaborate with talent who have important things to say – to not only reflect but inform culture and this moment. Commercially, I would love to do a GAP campaign and work with NIKE again. Culture is where ideologies and identities are formed, so the work Gucci is doing with Chime For Change is a space I would love to explore. With personal projects, I have always drawn on people’s anecdotes, images and first-hand experiences to help decode the world around me. When we go beyond the boundary of being strangers and ‘other,’ we focus in on the localized realities of people and spaces to arrive at the idiosyncratic, visceral, and often humorous nebulousness of humanity. I’m fascinated by people who inhabit the space that expose societies contradictions. Women, marginalized communities, and mental health have been prevailing preoccupation of my work, especially within my fashion, youth culture and music films. The context of creation is key to relatability and accessing popular culture for who groups repeatedly find their humanity called into question. My work puts humanity first and issues second. My visual style increasingly blurs between commercial aesthetics, lyrical storytelling and pure documentary, which is likely a reflection of the spaces I am operating in and desire to take my audience with me. What can our readers look forward to next from you? I’m working on a project about the global censorship of artists, Freedom of Expression with the TATE, and working on a couple of other short films. I also have three documentary features in funded development, which it feels too soon to expand on. I am working on constructing worlds on film that visually elevate the everyday, but are as nuanced as the world and individuals I encounter. I read somewhere that ‘we are in a cultural moment seeking intimacy, we want to know what it means’. For me, that intimacy evokes greater understanding and compassion for the dilemmas that individuals face; prompts us to critically review accepted norms; and when necessary, mobilizes us to act for change. Finally, what are your hopes for progress for women filmmakers in the next upcoming year? I hope we’re not expected to be the ‘next’ Ava or Melina – they’re handling that. To combat ableism and gender, racial and socio-economic inequalities, early-career initiatives ARE VITAL. To stop WOMEN filmmakers being locked out of high profile, high paying jobs, industry bias & fraternities of power MUST END. You need to water the seeds & give them light to flourish. Like Free the Bid, the progress I’m pushing for means less virtue signalling and better stats on black female directors across the industry. Special thanks to: Tamara at The Digital Fairy. Shot on Location, in London, UK.